Payments can be made in four different currencies! AUD, Euro, UKP and USD. Your local currency is auto detected, if you prefer to pay in a different currency, you can change it via the dropdown at the top of the screen. An account system where you can keep a track of your purchases. 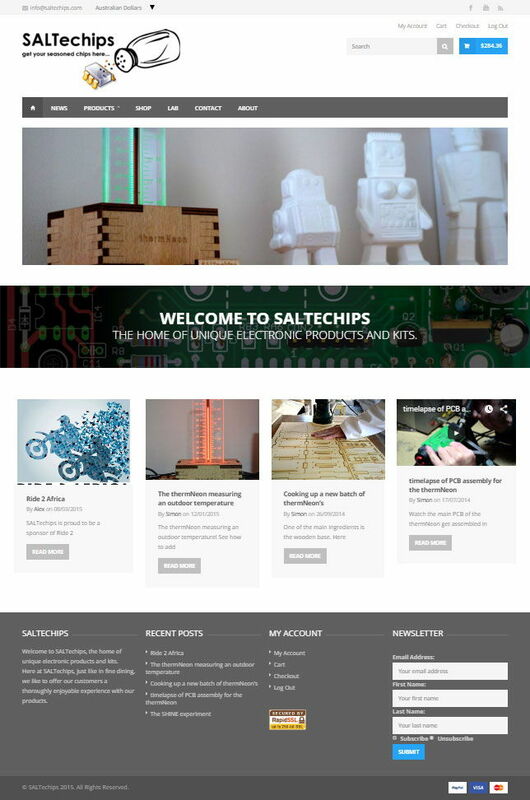 A SSL certificate to ensure communication between your computer and the SALTechips website is encrypted. Australian customers can pay directly into our bank account as well as via PayPal. A newsletter you can subscribe to, don’t worry, you won’t get inundated with emails, just an occasional newsletter letting you know of new products or discounts/specials.